Customized Payment Page is a value-added service that enables PayDollar India merchants to easily tailor every detail on the payment page like the background colors used, font styles and more to match their brand identity. Keeping a consistent visual identity makes it easy for your brand to stick in the minds of your customers. A branded checkout process reinforces buyer confidence since customers will be paying in a familiar interface. Customers love shopping from brands they know and trust. A branded checkout page lets you drive shoppers into the funnel. Add your logo, switch font types, and more. 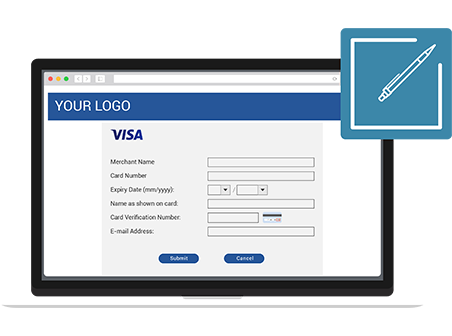 Transform the look and feel of your payment pages any way you want. Sales promotions, marketing campaigns, or whatever you need – PayDollar lets you create multiple page designs for any purpose. Customized payment page works well with other value-added services with no conflicts or limitations in usage. Build a coherent brand through your checkout.